This weekend we saw the fashion elite descend on London and unless you've been living under a rock; you will have noticed it was London Fashion Week. I was lucky enough to attend a show on day three and spent some time people watching in Somerset House. I tell you what ladies, something inside me has been ignited. I have always loved fashion and followed trends, been interested in emerging designers etc but this was the first time I was able to be part of it and I am going to make sure that this is the first of many! I know everyone else who attends gets to go to lots of different shows and they know all the inside secrets and they are well versed in the ways of LFW but for me this was my first time and now I've had a taste of it... I just want more and more! I attended the Derek Lawlor for Ethologie show in ME London and it was incredible. I've known Derek for a long time and it is always a pleasure to see his intricate knit designs and to see how his work progresses each year. He is such a humble chap and his work is so impressive - check out his work here and pics from his show can be found on his Instagram/Facebook accounts. The 70s trend for AW15 is going to be huge and it has already started to appear in stores. There was a lot of 70s inspired shows this year - my favourite being Burberry's AW show. I decided I wanted to wear a 70s style outfit and I started to build my outfit around this incredible anorak from H&M. A note about the sizing of this jacket - I am wearing a UK14 and as you know I am a UK20 so this proves you should try on things, regardless of what the label says! I love the thick scuba material and the bold tobacco colour. I attached a pink faux fur stole to it and something I love about the 70s trend is the fact that pairing colours like orange, brown and pink somehow looks amazing. You'll notice from my pics that I'm wearing a polo neck. 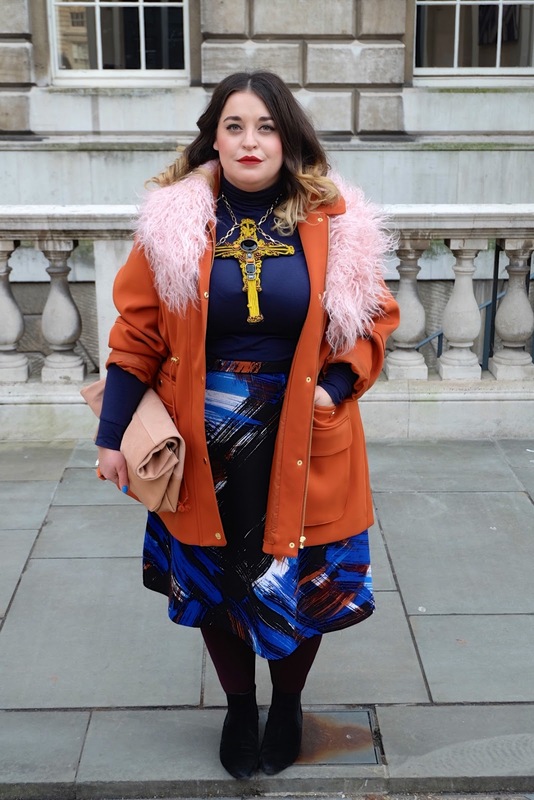 Many of you are probably shaking your head and saying "You shouldn't wear polo necks as they aren't flattering"...well as I've mentioned before, I don't always dress to flatter my figure, you don't need to either and as long as you like something and feel good in it; you should wear it! This navy polo neck is from Marks and Spencers and I am glad I decided to try this style because I think it complimented the 70s vibe perfectly. 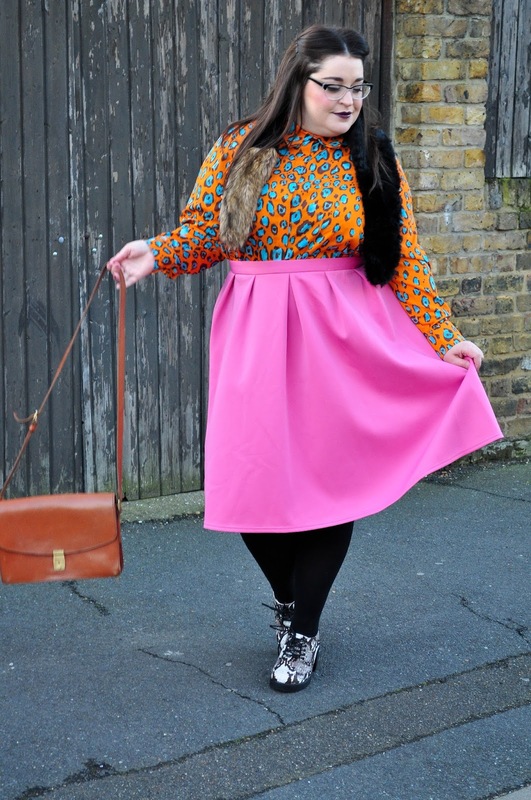 My skirt is from the Look Magazine range for Simply Be and I've worn it so many times since getting it last year. I love how the colours match the anorak perfectly and I picked up the blue in the skirt by wearing 'Malibu' by Barry M on my nails. My necklace is a mega old ASOS jobby and it was great to wear it again. Suede is a key fabric for this era and the thought of wearing a jacket or skirt might seem a little daunting so I introduced it into my outfit via my roll top clutch bag. My orange ring is from Topshop, the small semi precious stone ring is also from Topshop and so are my boots which are sadly out of stock now and finally, my lippy is from MAC and the shade is called Chili. You know when you fall in love with a dress online, but it's far too expensive so it sits in your 'saved items' for a thousand years as you wait for it to go down in price? Well this was the case with this pink metallic dress from ASOS. It was love at first sight but I just couldn't justify the price of it; even in the sale it was too much. I was having a browse on eBay just after Christmas and low and behold, I saw this dress for a fraction of a price and bought it straight away. I'm so glad I waited! After taking these pictures and having looked back at the shots I will definitely be taking the dress in at the waist and also shortening the sleeves. I feel like I want the skirt of the dress to jut out more and that the waist needs to be nipped in it at the sides. Apart from the fit issues - I'm obsessed with the print, fabric, shape and length and will definitely be wearing this to a fancy party... if anyone knows of a posh party and needs a plus one; you know where to find me! 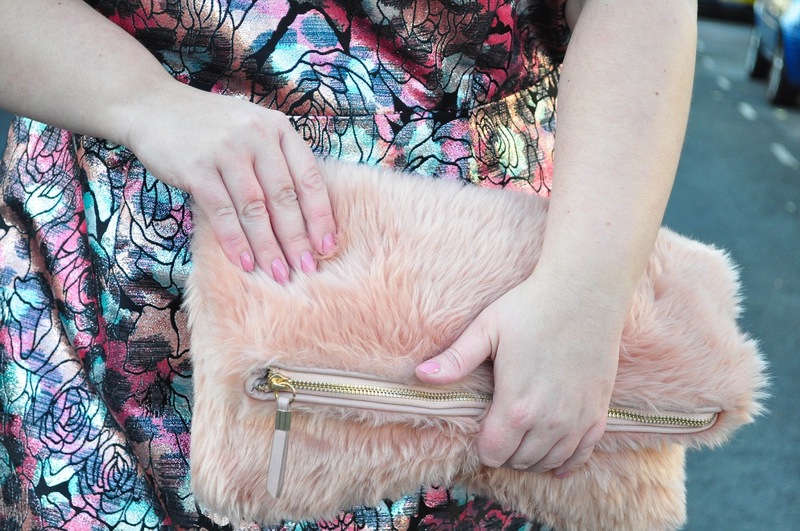 The glittery heels and faux fur clutch have both made appearances here on the blog before; if you know me and my issue with comfortable shoes, you'll know I'm a huge fan of these wide fit heels from New Look. 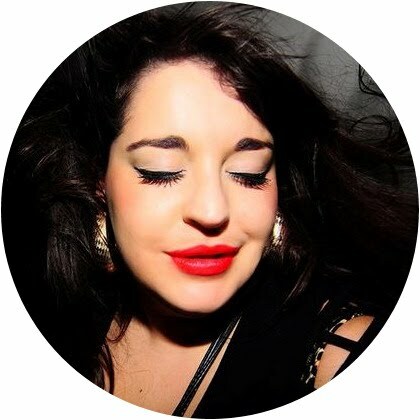 To finish off the outfit I wore my gorgeous vintage clip ons from ASOS Market Place & if you have a thing for vintage jewellery I highly recommend this part of the ASOS site. They have unique pieces and lots of cheapo prices! These were approx £1.50! Sometimes you need to put a sassy dress on, glam yourself up and paint the town red. Whether I'm going out with my girlfriends for a dance or on a date with my latest victim I always seem to gravitate towards a bodycon dress, a chunky pair of heels and a cute little clutch. As you all know it's Valentines Day on Saturday and I've been feeling the love recently so I thought I'd show you my ideal Valentines themed outfit. My dress is an oldie but a goodie, right? 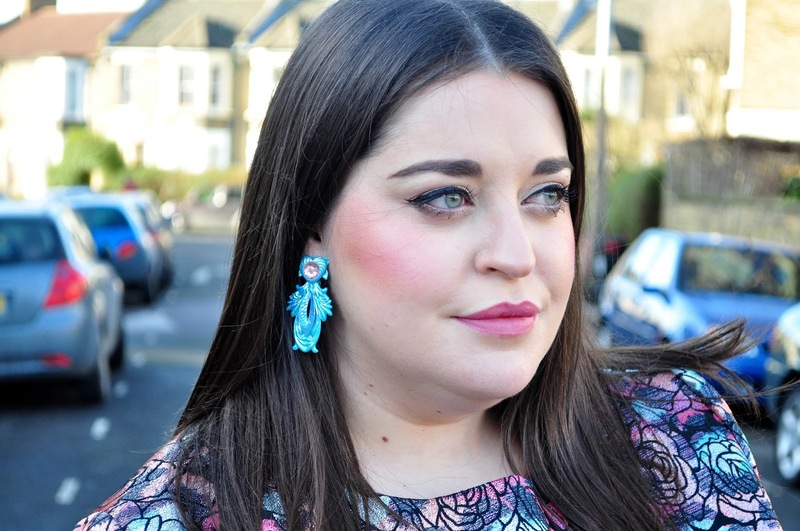 It's from ASOS Curve and although I've worn it a lot; it hasn't featured here on the blog for some reason. I normally size down in ASOS bodycons (from their main range) as they tend to come up big and they have lots of stretch. With this dress, I'm wearing a 20 from the Curve range and I love the fit. Sadly it's not on the site any more but I've linked some others below so take a look and see if any of them take your fancy. In regards to shape wear, I'm wearing my all time fave Maiden Form singlet which you can buy from Yours Clothing. A while back I talked about my dislike of the colour maroon. Well, I've kind of had a change of heart because I keep seeing things in maroon/burgundy and lusting after them (my best friend Jo will be so proud of me). This quilted coat caught my eye when I was wandering round Simply Be the other day, and I tried it on and before I knew it I was on my way home clutching a carrier bag planning my next outfit post. Voila, here is said outfit post! My cute Vivienne Westwood clutch was a gift from my parents and I always get so much pleasure when I use it. The heart earrings are from Jonny Loves Rosie and you've seen these heels before... they're my all time fave black heels - they're honestly such a dream to wear. 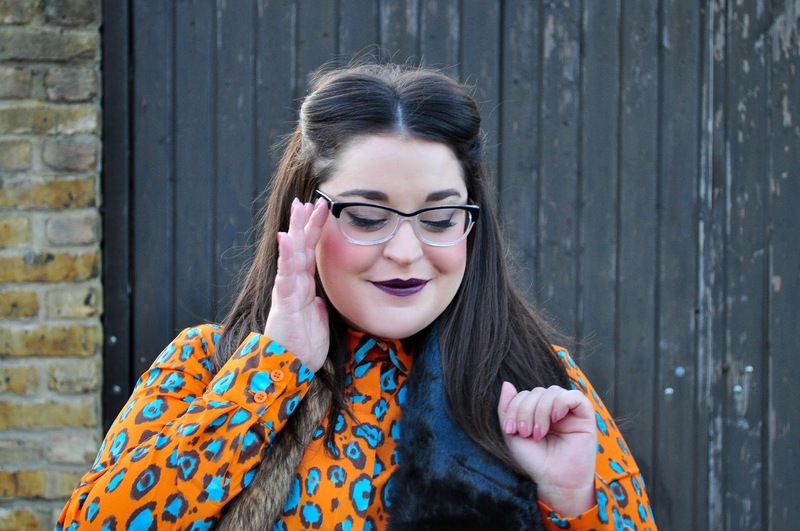 Bold colours, mix-match prints, lots of accessories... these are a few of my favourite things! Never one to shy away from clashing colours; this might be one of my fave outfits of 2015 so far. 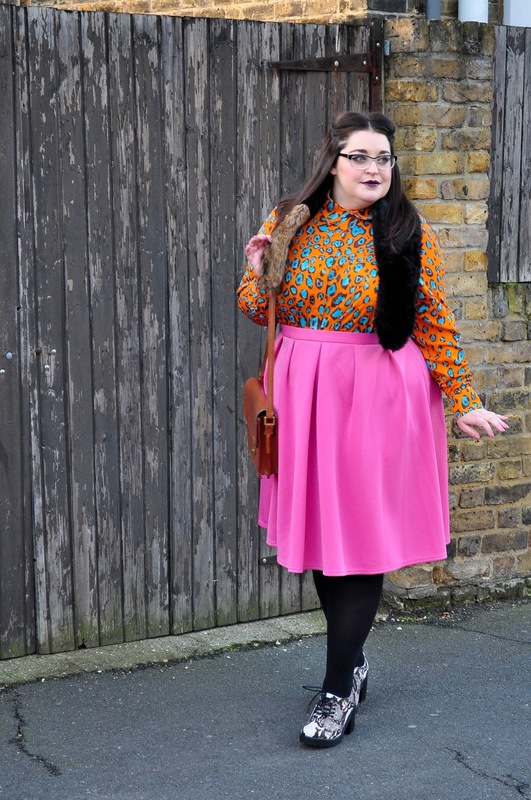 The starting point of this rather in-your-face outfit was the ASOS curve shirt I picked up in the Xmas sales. I originally wanted to style it with something maroon and tried these culottes but I looked hideous in them so I had a look in my wardrobe and pulled out this old Primark skirt. I love the colour combo - you might think it's vile but that's fine, you don't have to wear it ;) As soon as I paired the skirt and shirt I knew I wanted to go with quite a "geeky" look for this outfit and it felt natural to wear it with my glasses. I actually wear my glasses every day but choose to take my blog pics sans glasses but I feel like they really go with this particular look. These *Duo Two Tone frames are from Specspost which is a great online store that deliver to your home - these glasses with lenses are only £26.99 guys! Now, I don't know much about glasses but I know that is super cheap. My bag is a really old vintage one, so old I can't remember where I bought it from and I love how it looks worn and well loved! I accessorised the rest of the look with a *faux fur stole from Missguided and these mega lace up shoes from Topshop. Not gunna lie - they aren't the most comfy shoes in the world. After tottering around in them for an hour or so they really hurt my feet. This makes me sad because I adore lace up, high heel shoes. What do you reckon? Are you a fan of this look or is it a little too garish for you?